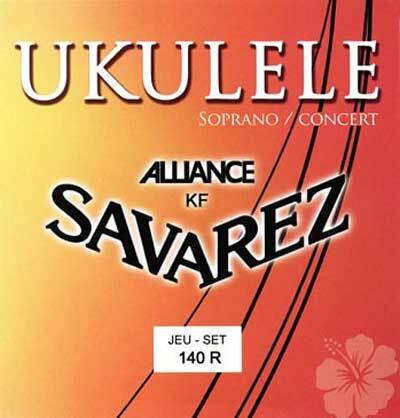 Savarez ukulele strings for soprano/concert ukulele. Approximately 24" in length. Best nylon strongs on the market. Use them also on my classicall guitar. I have used Savarez guitar strings exclusively for years. I am finding the Ukulele strings just as satisfying, from plucking to rasgueado....musical always. Strings By Mail provided flawless service and great price. They even assigned a person with a name to handle my account and give help and advice. Amazing.